I get caught up in independent music because of its depth. This distance downward is a contrast of musical styles that fall in specific subgenres that are continually changing. For example, a band can be classified as garage rock while having certain lo-fi tendencies that are heavily influenced by a punk blues. This type of musical description resonates with few and most would have an easier time deciphering Finnish. These classifications are endless and ever changing. Mapping most current band’s sound by their influences can lead to a nexus, where the origins are hidden berneath a web of shifting musical labels. The varying musical influences allow for independent musicians to avoid the static and pull new influences from record to record. While this idea seems rudimentary in the present state, listeners tend to reject change. As listeners, we often place a vice on musical progression and immediately dismiss an artist that wants to try something different. 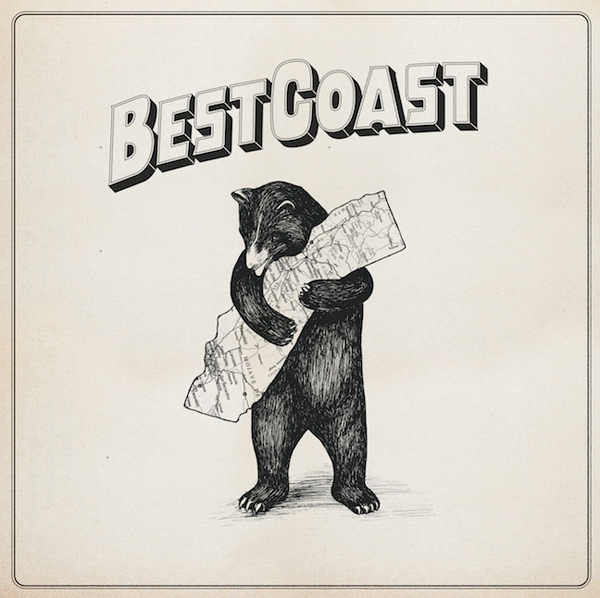 The latest example of this is Best Coast with the release of The Only Place. This record sounds dissimilar to the band’s debut release of Crazy For You. Front lady, Bethany Cosentino’s voice has transitioned into a more crisp fidelity. The garage was left open and Best Coast walked away by stepping into a sound that belongs more in the alt country genre than anything else. These changes make it difficult for many who initially pigeon holed Best Coast into a Ramones inspired clatter. That transition should be less of a surprise to listeners and should be viewed more as the next chapter in the attention-grabbing musician that is Bethany Cosentino. Best Coast’s songs are made to be simple. They are pop tunes about crushes, relationships, and break ups. Listeners need to understand that simplicity is the reason why Best Coast is appealing. The lack of depth makes for a quick, relatable escape for me. On “Crazy For You”, Cosentino sings. “I’m always waiting by the phone, I can’t wait for you to get home, I’m always crazy when I miss you, I’m always lazy when I miss you”. While the lyrical extent is minimal the communication is utmost. Best Coast’s messaging is direct and avoids complexity. While the sound might have changed with ‘The Only Place’, the lyrical maturation remains motionless. If Best Coast’s career were an ode then ‘The Only Place’ would be the antistrophe. The portion of the ode sung by many catchy choruses while migrating from the best, west, and then to a new direction in the east. It takes the listener one song to realize a transition in influence. I am introduced to the change in musical direction with opening title track “The Only Place”, but also comforted by the band’s dedication to their straightforward approach with their lyrics. Line, “We’ve got the ocean, got the babes, got the sun, we’ve got the waves” might come off as undemanding, but sits well with those that have come to expect this sense of ease from Best Coast. Cosentino’s voice is the highlight and the music is the background. She has been the star of Best Coast from the beginning and now band member Bobb Bruno takes a step back off the long board in order to allow Cosentino to be the star. Track, “Do You Love Me Like You Used To” sounds more like Patsy Cline than Joey Ramone, which helps reflect the musical shift of this record. This song places power behind Best Coast because it forces Cosentino to be front and center for listeners. I think that accepting this vulnerability is primary, while the change in tone is easy to acknowledge because of the appeal that her exposure presents. I would encourage listeners to lean on this track see if Best Coast still demands interest. This song is displays the ability of a band to pull from new influences while remaining true to their trouble-free lyrical approach. This is a comfortable change in route and can serve as a great barometer of agreement. Many early Best Coast fans will shy away from this record because of its dismissarity to their initial musical dissonance. I encourage listeners to maintain consideration while looking at the big picture. Cosentinos’s rise in recognition coupled with the vast variety in independent music allow for this record to make sense to me. Like it or not, Cosentino has continued to find ways for us to continue to talk about her. The reception is up for debate, but the relevancy remains.